Knowing how to cook corn is as easy as knowing how to turn on a stove. Simply shuck the corn (remove the husk) and place into a pot of water, ensuring that the water completely covers the corn. Then boil for about ten minutes. That’s all! When you’re grilling meat, it’s easy to toss some corn on the grill as well. Choose plump, healthy ears still in the husks. Because the temperatures of grills vary widely, times will vary too. 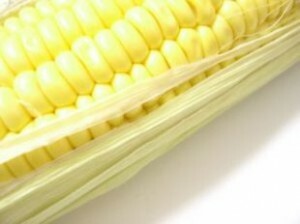 Just place the unshucked ears of corn on the grill, near the edges of the heat source. Check on them every minute at first to gauge proper time. You want to cook your corn until the husks are dark brown with blackened spots. When you’ve cooked the first side, give each ear a quarter turn with tongs and leave it on for as long as it took to cook the first side. Repeat until all four sides are done. Let them cool enough to touch them. They should feel softened but not mushy. The natural corn oil in the husks effectively butters your corn for you, so just peel back the husks and enjoy this savory source of vitamins, minerals, and most of all, dietary fiber. That’s how to cook corn on the BBQ. © How to Cook Fantastic Food 2019 - Powered by WordPress - Theme RedBel by Belouga.